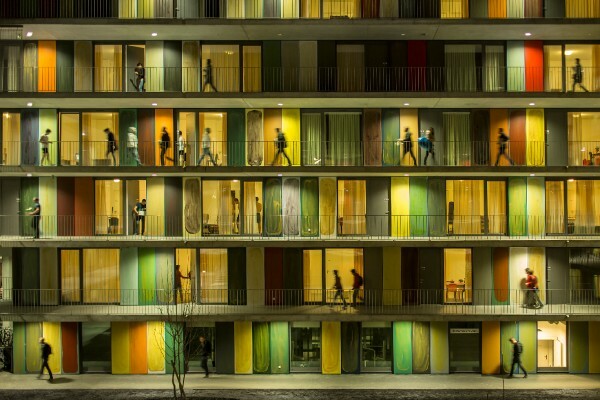 Building Images, is an exhibition of the best architectural photography worldwide and celebrates the power and impact of photography on the way we sense and experience spaces. The exhibition showcases all the shortlisted, and winning images from The Arcaid Images Architectural Photography Awards 2015, and features some of the world’s most renowned architectural photographers including overall winner Fernando Guerra as well as short listed entrants Iñigo Bujedo Aguirre, Doublespace (Amanda Large & Younes Bounhar), Christopher Frederick Jones, Laurian Ghinitoiu, Mark Gorton, Ryan Koopmans, Lingfei Tan + Song Han, Mads Mogensen, Tom Roe, Ieva Saudargaitė, Su Shengliang, Grant Smith and Jeremie Souteyrat. During the World Architecture Festival 2015, a highly acclaimed panel that included Fabrizio Barozzi, Alberto Veiga, Amy Croft, Katy Harris, Nick Hufton, Allan Crow, Ian Moore, Clifford Pearson and Christine Murray judged the awards. In the short-listing process the panel looked beyond the architecture itself, considering the photographers’ merits in composition, light, sense of place, atmosphere and use of scale.